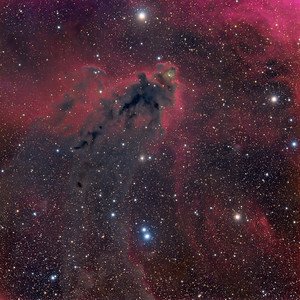 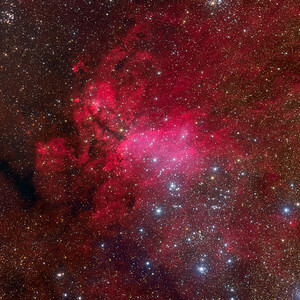 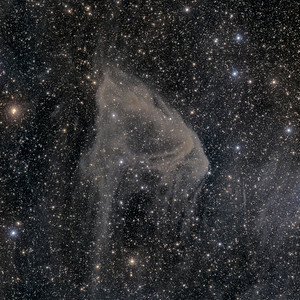 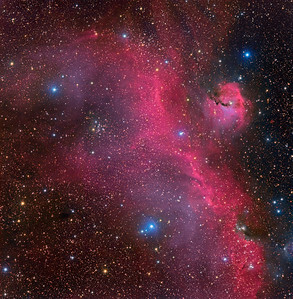 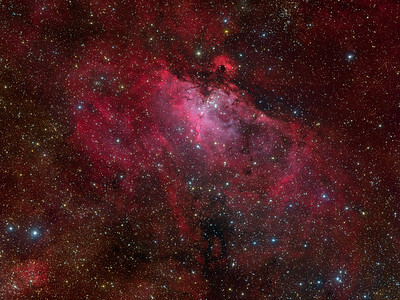 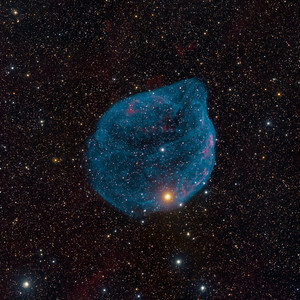 A broad expanse of glowing gas and dust presents a bird-like visage to astronomers from planet Earth, suggesting its popular moniker - The Seagull Nebula. 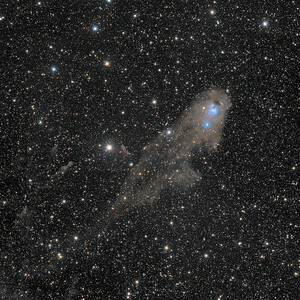 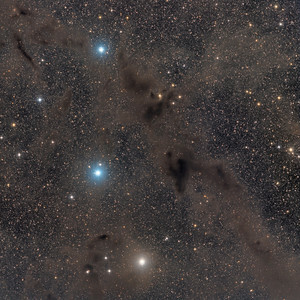 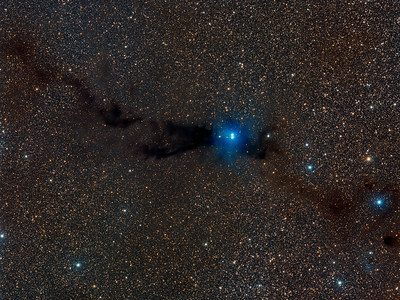 This portrait of the cosmic bird covers a 2 degree wide swath across the plane of the Milky Way, near the direction of Sirius, alpha star of the constellation Canis Major. 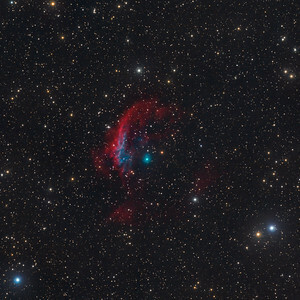 Of course, the region includes objects with other catalog designations: notably NGC 2327, a compact, dusty emission region with an embedded massive star that forms the bird's head (aka the Parrot Nebula, right center). 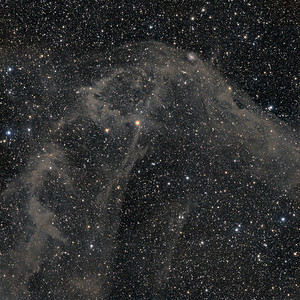 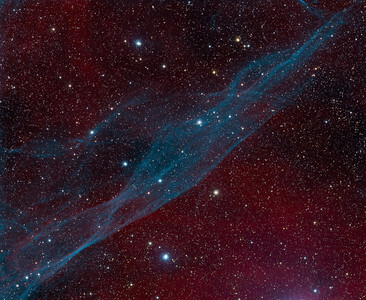 IC 2177 forms the sweeping arc of the seagull's wings. 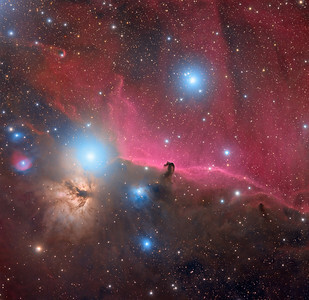 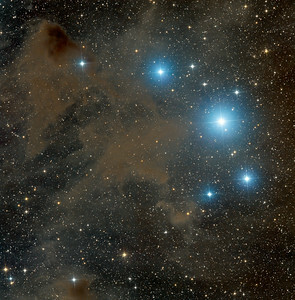 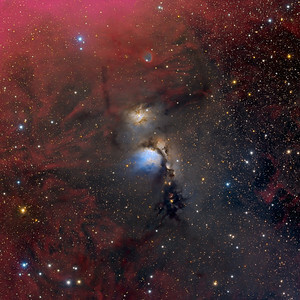 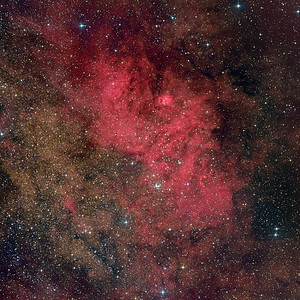 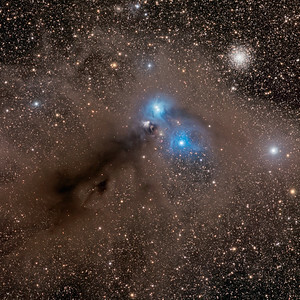 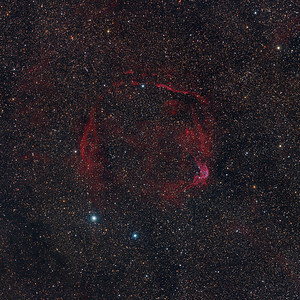 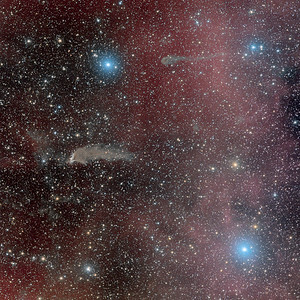 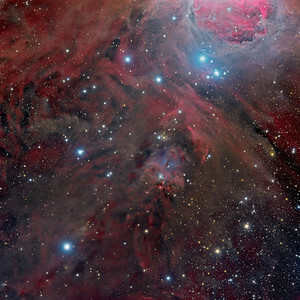 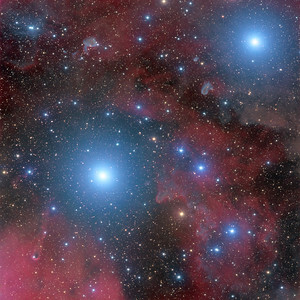 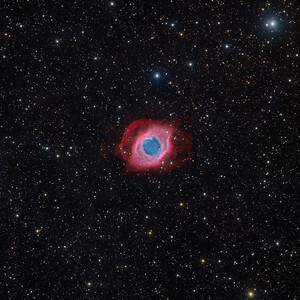 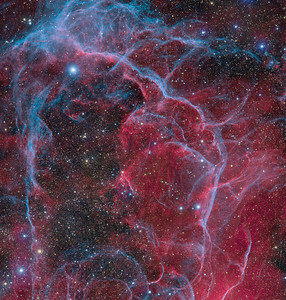 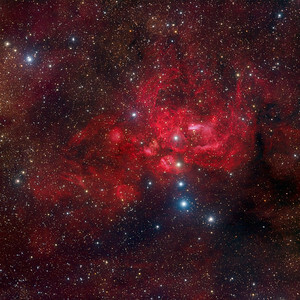 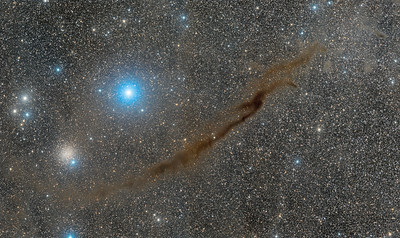 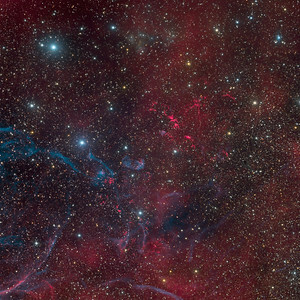 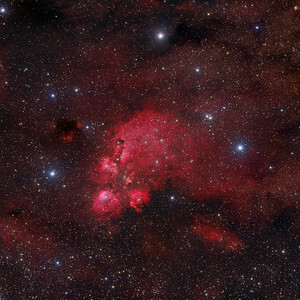 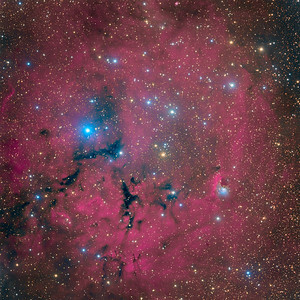 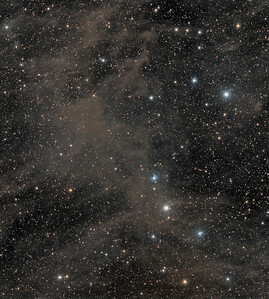 Dominated by the reddish glow of atomic hydrogen, the complex of gas and dust clouds with bright young stars spans over 100 light-years at an estimated 3,800 light-year distance (text adapted from APOD).